When you travel to Morocco you feel like you travel to another world while still staying on the same planet. It’s so incredible that a place so different from my country (Italy) is only a few kilometers away. You get on a plane and in only a couple of hours you end up in an exotic land in a different continent. Morocco is a place that holds a charm all of its own with a rich and diverse landscape. In Morocco you can ski in the Atlas Mountains, surf the waves of Taghazout, ride a camel in the dunes of Sahara desert. 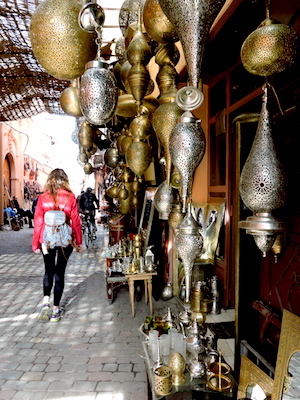 Get lost in the chaotic streets of the medinas, walk around the souks and bargain for hours for the price of the amazing local products and crafts: argan oil, shea butter, ginger, mint tea, tagines, lamps, eucalyptus crystals, sandal, amber and white musk fragrance soaps, perfumes and incenses. And after the hard bargaining, you can finally relax in a hammam with buckets of hot water (I know it doesn’t sound very relaxing but I swear it really is), scrubs and massages. Morocco is also very rich in mosques but the entry is only for Muslims. I know, it would be very interesting to go inside but, since the mosque is a place of worship, tourist visits are not possible. But don’t worry! 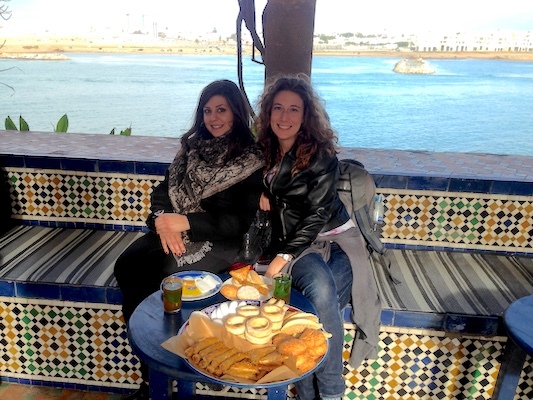 There are so many things to do and see in Morocco besides mosques that you won’t know where to begin. However try not to make the mistake to do too many things in one single journey. When you travel to Morocco you take a journey to enjoy at a slow pace in order to really feel the Moroccan culture. 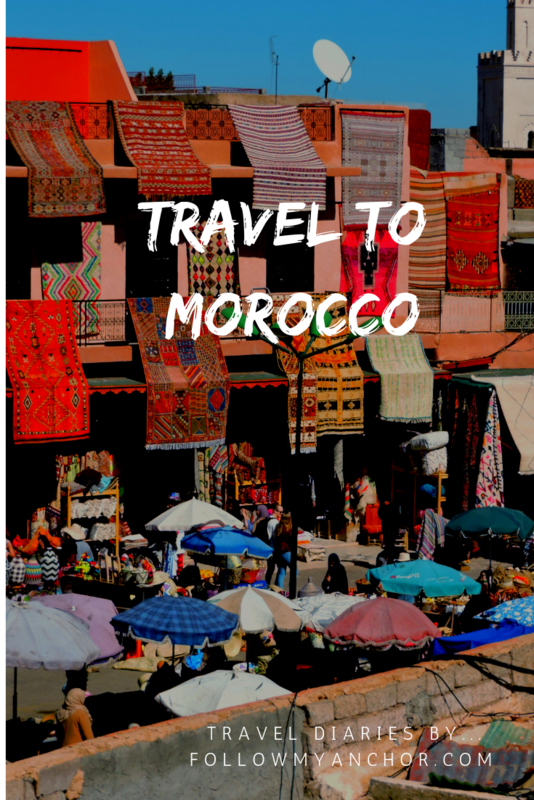 Plan instead to travel to Morocco more than once and spend the proper amount of time on each journey. End each one of them has been wonderful. Even if being blonde in Morocco sometimes can be difficult. The Moroccans are very special people who can be extremely kind and helpful and at the same time very hostile calling you “racist” or “witch” just because you ignored their proposals for a “Berber wedding” or “Moroccan love”. But always in a fun and never dangerous way. Cumin is the least digestible spice in the world. It’s wiser to leave the pigeons alone and let them poop freely from the rooftops rather than eating them in a sandwich with onions and cinnamon. No substance in the world got me addicted more than the gateaux marocains did. In conclusion, it seems pretty clear that I’m totally in love with this country, its food and its culture. 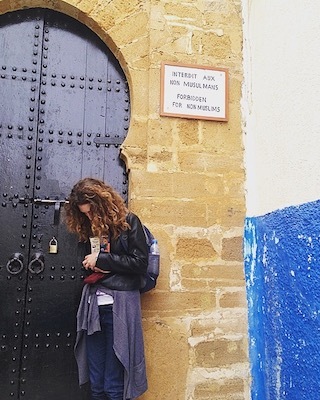 Are all mosques in Morocco closed to tourists? I ask, because I was able to go inside a mosque in Turkey. Granted, I had to respect the religious rules in place — remove my shoes, cover my head, stay in the section designated — but I could go inside and see it firsthand. I love to travel and feel like I am in another world. I don’t know much about Moroccan food, but would like to try it. I am glad that you have travelled to Morocco cos after reading so many blog posts, I was really eager to know something more about Morocco! The place is beautiful and i have been intrigued by the country for a long time! I am glad you take your own sweet time to absorb the culture of the place and enjoy it thoroughly, even i feel like doing the same whenever i visit a new culture. I think you could have understood the Moroccan culture better by staying in a Homestay or a BnB. However, thanks to your inputs, my next trip planning has already begun! Ciao! I recently was in Morocco and truly enjoyed the colors and the food. 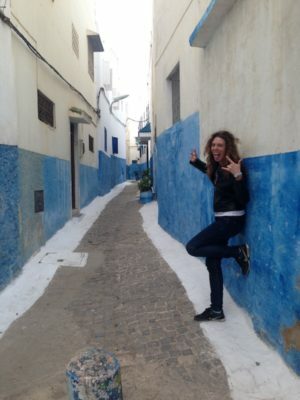 I had, on a negative side, a bitter sweet feeling towards my strolling around the Medina of Marrakesh as a solo woman traveler. Did you find it difficult? 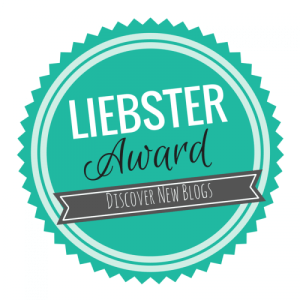 I really enjoyed reading this post, Sara. Morocco is somewhere I have always imagined as a thrilling and exotic destination and I totally understand what you mean by advising not to rush here, and instead take your time in such a fascinating place. The mountains, beaches and the desert are all beautiful facets of nature and Morocco has them all. Can’t wait to get there to see it for myself one day! Thank you so much Nicole! I hope you can get there soon, I’m pretty sure you will love it! You are absolutely right that when you travel to Morocco it’s as if you’re in another world. I was to Morocco many years ago and have been wanting to go back ever since. You’ve refueled that desire with this piece. Nice! My partner Sheila would really love those hand-made textiles. She’s so much into tribal designs. And based on this article, Morocco seems to be ideal for the urban adventurer. Really informative post. I’m a little bit jealous of your trip to Morocco. I was planning to visit Morocco in last year. Unfortunately I missed an opportunity to buy tickets. How many days you recommend to stay there ? Morocco is huge so it’s hard to fit everything in one journey. I would recommend to take small trips (3-4 days) each time in a specific area. Thank you for your comment Andrew! I travelled to Morocco last year and this brought back loads of memories. It is truely a great destination full of colour history and great food. Love your post. Thanks for sharing. There is so much you can do from camel rides to day trips. It offers something for all ages. Thank you so much Amar! Yes, there is so much you can do!